This is the ultimate DIY pantry book, doing double duty with recipes for vegan staples, plus ideas on how to use them as building blocks in both new and classic recipes. Many cooks prefer to make their own basics rather than buy expensive store versions, which are often loaded with additives and preservatives. These easy recipes make it easy to stock a home pantry. Enjoy milks, cheeses, bacon, burgers, sausages, butter, and vegan Worcestershire sauce in your favorite dishes, and then try delicious recipes using the staples. Sample Bahn Mi, Sausage Biscuits, Meaty-Cheesy Pizza, Milk Shakes, Jambalaya--even Jerky and Lemon Meringue Pie. 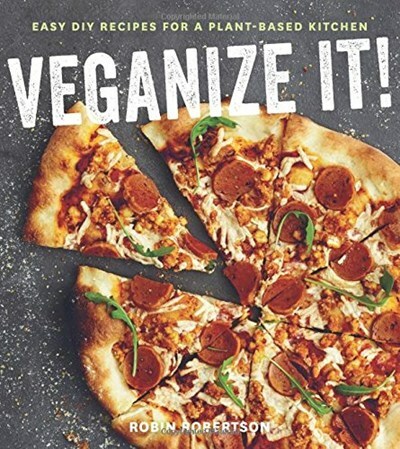 With more than150 recipes and 50 color photos, this will become an indispensable cookbook for vegans--and everyone else who enjoys animal-free food.